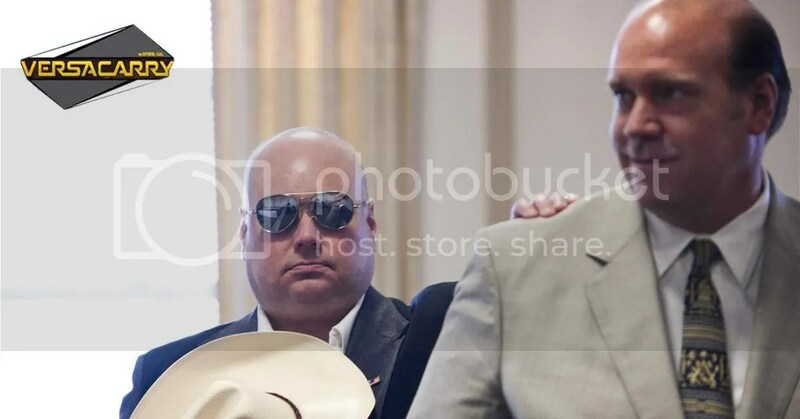 Attorney Gregg Trautmann, at right, with his client, blind gun collector Steven Hopler, at a court hearing in Morristown in 2010. ROCKAWAY TOWNSHIP — A Morris County attorney who represents many gun owners feels a proposal to make psychological evaluations mandatory for people accused of carrying concealed weapons in public places is unnecessary. Morristown Mayor Timothy Dougherty is urging such a law after a man accused of carrying two handguns and hollow-point bullets in his backpack near a movie multiplex in Morristown was released last week after posting $100,000 bail. “That would be a completely new addition to what is one of the nation’s toughest gun laws already,” he said. Trautmann pointed out that mental health checks are required when someone obtains the required firearms identification card. Although a psychological evaluation is not required, the applicant must say whether he has a history of treatment for mental illness and must list three references. “They do check” on all those items, he said. The state has “a very strict coming and going law,” Trautmann added. “You can only take your gun out of your house if you’re going hunting or going to the shooting range” and you can’t take it anywhere else. He pointed out that under that law, someone “deviating” from that prescribed route, say to go shopping on the way home, is clearly in violation of that law, as was the case in the alleged Morristown incident. The issue arose after Andrew Pfitzenmayer, 26, of Peapack-Gladstone, was arrested July 29 after allegedly carrying the guns and bullets inside Headquarters Plaza, a high-rise Morristown complex housing a health club, a day-care center, a hotel and numerous offices in addition to the multiplex theater. Dougherty, and Pfitzenmayer’s attrorney, Frank Pisano, have both said Pfitzenmayer had legal possession of the gun. However, his route through the Headquarter Plaza with the concealed weapons was the problem, officials said. If that was indeed the case, Trautmann said, Pfitzenmayer was “clearly violating the law on transporting weapons.” He pointed out the suspect was arrested, the system worked and a new law wasn’t needed. New Jersey does have a “conceal carry permit” available but “it’s very difficult to get one,” Trautmann said. Trautmann said he is unaware of any states that have mandatory psychological evaluations for weapons carrying cases, but he pointed out that a judge may require one if he or she feels it is necessary, say, in a case where the person had a mental illness history. In Pfitzenmayer’s case, the judge did not require an evaluation even though the prosecutor asked one, according to Dougherty. Pfitzenmayer could not be reached for comment. His attorney, Frank Pisano, has declined to comment on the case other than to point out that his client possessed the guns legally. According to his social media profiles on Facebook and LinkedIn, Pfitzenmayer attended Rutgers University and works as president of St. Leger Concierge, an event planning company based in Somerset County. Dougherty, a Democrat, said his plan is being fine-tuned before it will be formally proposed. Legislative staffers working on behalf of Assemblyman Jamel Holley (D-Union) are researching the issues and are expected to develop a plan, he said. Trautmann, the gun owners’ attorney, was asked what else might be done to stem the rash of shootings in public places.